HTC One is one of the best devices in the list of android devices. 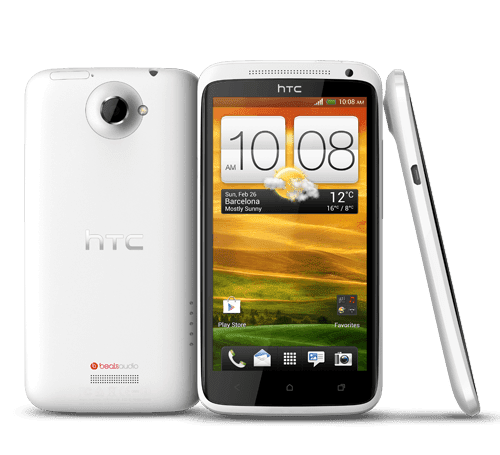 The device is not at all AOSP, but stuffed with so many features which makes it an awesome Android device and I am sure you are enjoying your HTC One X? But why just to enjoy it on stock UI? I know the stock UI of HTC One is quite better than of Micromax, Karbonn, XOLO and other chinese brands, but still there are some features that even the stock ROM of HTC One X doesn't have. HTC One X is a fast device, I mean it has good specifications, but somewhere you might have faced lags, isn't it? It is because of heavy stock UI and to fix this problem, or to replace the stock ROM, I am going to show you how you can upgrade your HTC One X to Android 4.4 KitKat by CyanongenMod 11 ROM. HTC One has a 4.7 inch display with 312 ppi pixels density and an HD display which makes the device handy and better for gaming. Oh, it also has HTC Sense UI, I forgot to mention this. The screen of HTC One X is protected by Corning Gorilla Glass. Super crisp camera of 8 Mega Pixels allows you to take awesome and bright pictures. Secondary camera can also record HD videos at 720p HD. Added with Android 4.0 Ice Cream Sandwich, the One X has Nvidia Tegra 3 chipset which is really fast and provides good display. Moving to the CPU, I would like to say that the processor is also very fast. It has a Quad-Core 1.5 GHz. HTC One X's UI is also provided from Nvidia. It has Nvida ULP GeForce GPU which also enhances gaming experience. There are many other features, which will make this article too long so I will skip them and will move to the ROM. I have already posted CyanongenMod ROM update for many HTC, Sony and Samsung devices and none of the users have reported any error or issue for the ROM. For example, I posted CM 11 ROM for Sony Xperia Z, Sony Xperia Sola, Samsung Galaxy S I9000, Motorola Moto G, HTC One Mini, Nexus 5. I always post CM ROM because the firmware is highly trustable, I mean I know that the ROM has no issues like of calls, messages etc. ClockWorkMod (CWM), Team Win Recovery Project (TWRP) or any other custom recovery. HTC One X charged up to 70%. Knowledge of using your custom recovery. This guide is only meant for HTC One users. If you have HTC One Mini then go here, or if you have any other device then search on our homepage. No support will be provided if you did anything wrong which is not mentioned in this guide or article. You can edit the contents of this ROM to make some changes based on requirements, but if you did then no support will be provided to you. MXRootROM is not responsible for your bricked HTC One X. Make sure your ADB and Fastboot works. CyanongenMod 11 ROM for HTC One X (CyanongenMod's official website). Download only the latest or the ROM (.zip) in the top. Compressed Fastboot and ADB Tools (made by MXRootROM): Click HERE. We have compressed 500 MB files to just 500 KBs. Download the ROM to your computer. Extract the boot.img from the ROM, but make sure there is boot.img present in the zip after extracting (just extract boot.img, but don't delete it from the main ZIP). Push the ROM to your HTC One X and get ready with your USB and computer. Reboot HTC One X to the recovery. Select Backup and restore and make a nandroid backup by selecting Backup from the menu. Select Wipe user data/factory reset option from the main list of options. Open Mounts and partitions option and select format /system option. Go back to the main menu and select advanced option. From advanced, select wipe dalvik cache. Select flash zip from sdcard from the main menu of CWM recovery. Move to the ZIP and select it. Flash the ROM by confirming it. Press and hold down the Volume Down and Power keys simultaneously for a while. Soon it will be in bootloader mode. Plug in the USB to your HTC One X and computer. Extract the compressed ADB and Fastboot tools to a folder on desktop or anywhere. Also copy and paste the boot.img which you extracted some where in the folder where the compressed ADB and Fastboot tools are extracteed. Hold the Shift key and press right click on the folder in which you extracted the compressed ADB and Fastboot tools. The bootscreen may take 2-3 minutes to appear because we just flashed the Boot image and it takes time to boot. This will be only for the first time! The second, third or any boot will be faster than the first boot. You can shoot your comments here if you want to ask any question or if you are stuck anywhere. is this for the worldwide version too (tegra 3) or only for snapdragon? Get this rom and the G-apps. But follow this procedure. I have this rom on the international version (Terga 3) and it is great.